Happy December everyone! I hope you all had a great Thanksgiving, I know I ate and laughed way too much so I would call it a win! 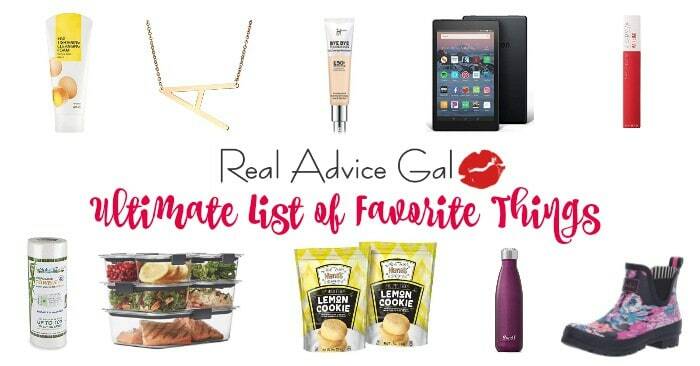 Now that Thanksgiving is over it’s time to start thinking about the next big holiday, Christmas! Christmas is one of my favorite holidays! I love the sights, sounds, and good will that Christmas brings, and as a crafter, Christmas is a great reason to break out the glue gun and glitter right!? 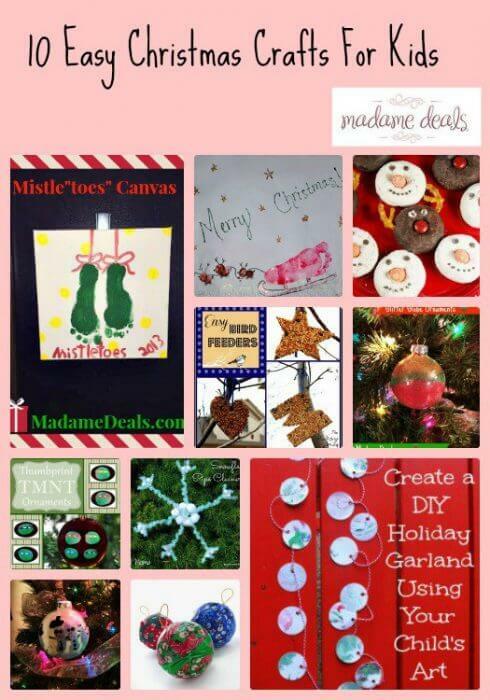 I thought I would share with you 10 Easy Christmas Crafts For Kids that is sure to get you and your family in this Christmas spirit! Let’s check them out! 1. 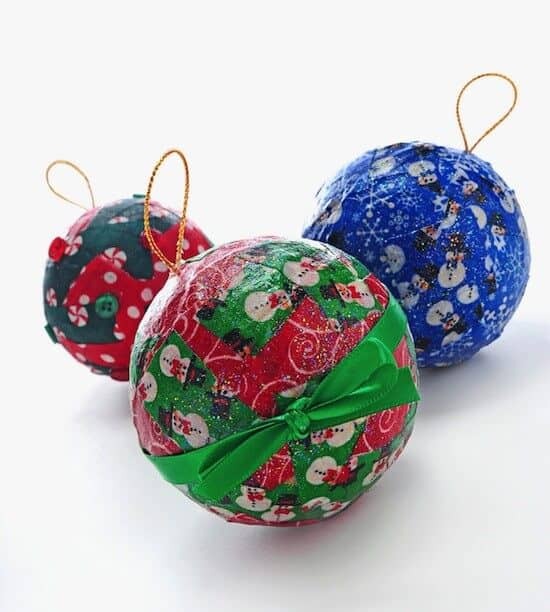 Mod Podge Christmas Ornament– This craft is easy to make, messy enough to make it fun, and will look great hanging on your Christmas tree! 2. Snowflake Pipe Cleaner Craft– Everyone loves a little snow right? 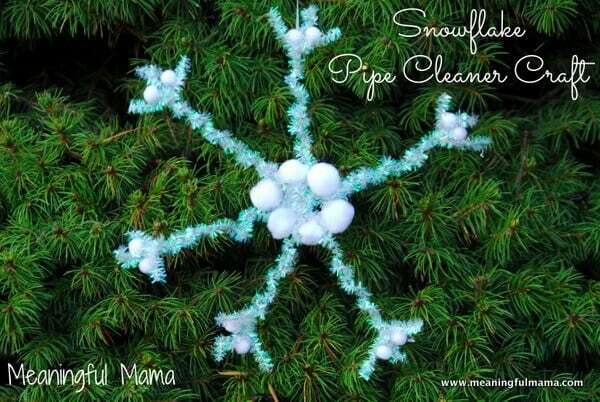 How about a cute (and easy) snowflake craft to celebrate the season! 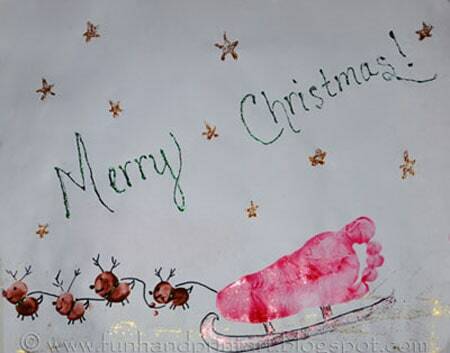 3.Footprint Santa Sleigh– All you need for this fun craft is some paper, paint, and cute feet and you will have a great keepsake as those little feet grow. 4. 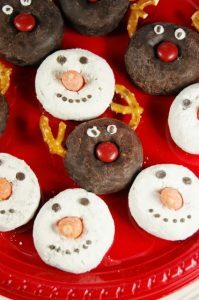 Adorable Snowman & Rudolph Mini Donuts– This craft is not only super cute but it’s super sweet! I think these would be great for a holiday party at school! 5. 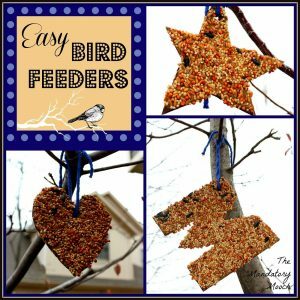 Easy Homemade Bird Feeder– When thinking of crafts, why not make something that is helpful to the environment? 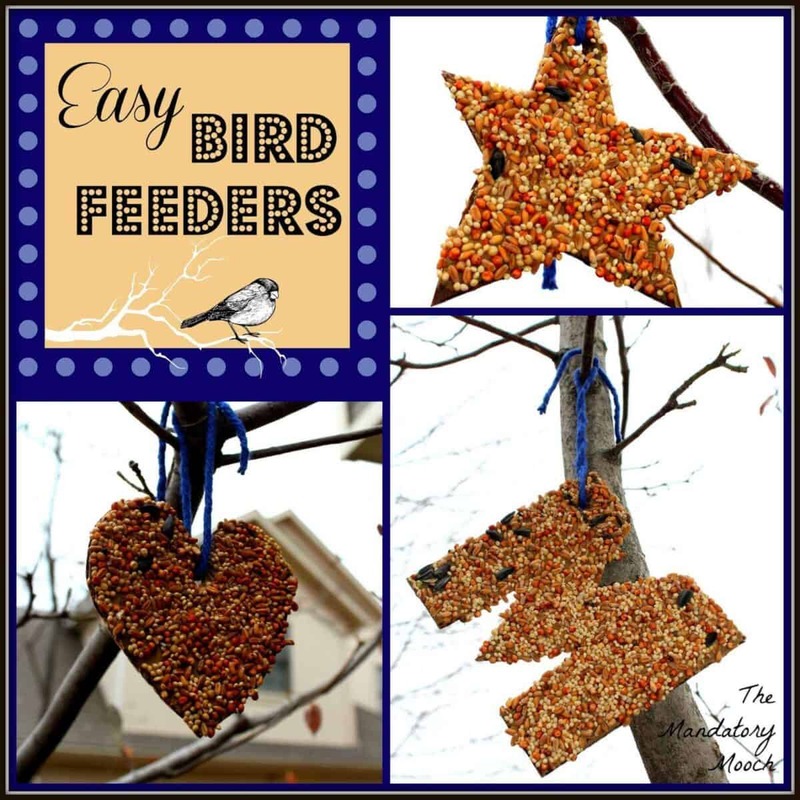 We make one every year and call it our Christmas gift for the birds! 6. 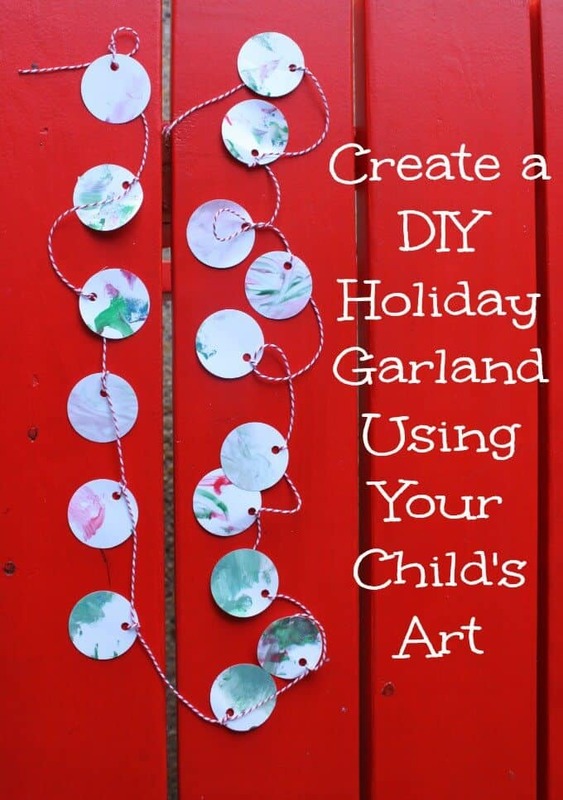 DIY Holiday Garland using your child’s artwork– I love the idea of taking something your child has made for you and turning it into something fun and festive! 7. 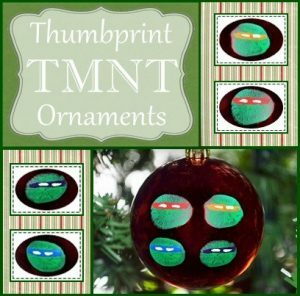 Teenage Mutant Ninja Turtles Ornaments– If you have a TMNT lover in your house then they are going to flip over these easy to make ornaments! 8. 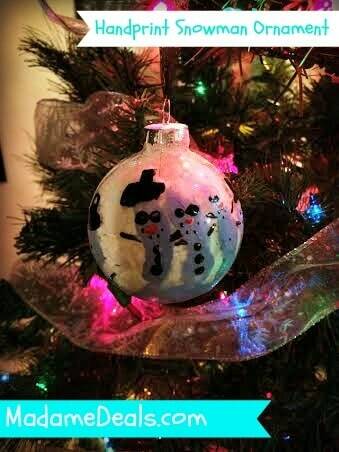 Handprint Snowman Ornament– This is one of my personal crafts and we had such a good time making it. We just pulled it back out again and it’s amazing to see how much my daughters hand has grown! 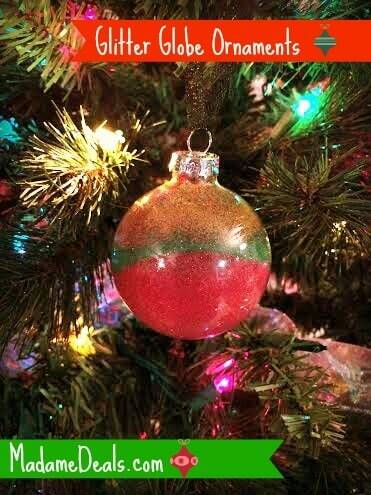 9.DIY Glitter Globe Ornaments– Another great ornament craft, this craft is sure to bring some color and sparkle to your Christmas tree! 10. 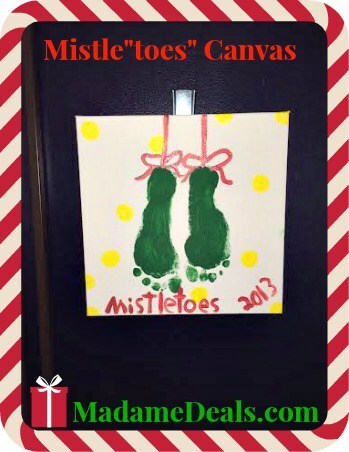 Mistle”Toes” Holiday Canvas- Grab a cute pair of feet and some paint and you have yourself a really cute holiday canvas! What’s your favorite Christmas Craft to make during the holidays?